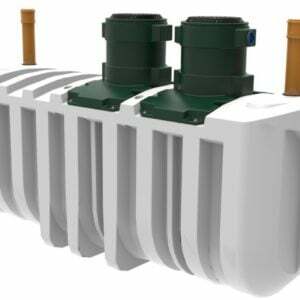 EasyMerchant keep in stock sewage treatment plants and septic tanks made by Harlequin Plastics. Please contact us if you have any questions or need advice. Sewage Treatment is the way of eliminating contaminants from wastewater or sewage. This is sometimes required for agricultural domestic or commercial properties. The Aim is to produce a fluid that is safe for the environment. The majority of homes in the UK are linked into the national sewerage system. You pull the plug, flush the toilet, pay the monthly bill and have nothing more to be worried about. This is known as mains drainage. 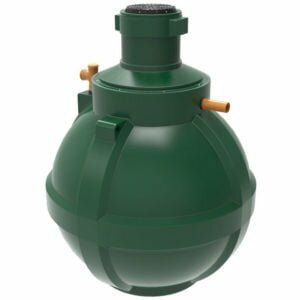 Will you need planning permission when Installing Sewage Treatment? You need to get in touch with the regional authority to find out whether or not planning permission is required before beginning the project. Often, in new build scenarios this acceptance will form a portion of the overall consent but make certain to get this clarified in every case.In rural areas many houses and villages are self explanatory. Either a septic tank or sewage treatment plant is going to be utilised. This does not have any connection to the sewerage system is known as drainage. Where effluent will be discharged into a watercourse and depending on the quantity, your local environment agency must grant consent before beginning your installation.If you do not obtain such a "licence" you might be liable to prosecution. Your agency will be happy to advise you on the degree of effluent treatment and this info will allow you to figure out which type of sewage treatment plant ought to be set up.You will have to complete and submit a Consent to Discharge application form including a fee to the agency.